A three-month pilot has been launched in the US to prevent and detect fraud in the country’s organic food chain amid reports of widespread fraud. Initiated by the US Organic Trade Association’s Global Organic Supply Chain Integrity (GOSCI) Task Force, the pilot builds on a fraud prevention programme designed last year and will “test drive” the fraud prevention and detection strategies developed. 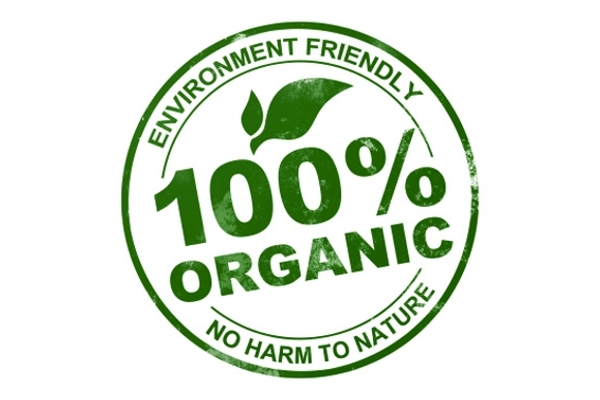 The initiative comes at a time of increased focus on the organic supply chain and, in particular, organic imports into the US, with reports of widespread fraud and chronic lack of processes and enforcement at the US border to prevent and deter fraudulently labelled organic products reaching the US consumer. “This pilot project is key to advancing the adoption of an industry-wide systemic approach to preserving organic integrity from the farm to the plate and to ensuring the honesty of global control systems,” Gwendolyn Wyard, vice president of regulatory and technical affairs for the Organic Trade Association (OTA) and staff coordinator for the GOSCI Task Force, said in a statement. Eleven member companies of the Task Force will participate in the pilot, which will run from June to September, and are representative of the entire organic supply chain from farm to retailer across fresh produce, grains, dairy, eggs, meat and packaged and prepared foods. The plan focuses on identifying and assessing specific weaknesses or vulnerabilities in a company’s business that poses the most risk of fraud, as well as identifying and taking measures to reduce those vulnerabilities to deter fraud, establishing a monitoring programme to ensure the fraud prevention measures are in place, and developing a complaint system to be used when fraud is suspected or detected. Participants will concentrate on one product or ingredient or a specific location to run through the pilot programme. During the pilot, the participants will seek comments from other stakeholders in their unique supply chain, then share feedback on their experiences and give recommendations on how to improve and strengthen the suggested strategies. Meanwhile, the US Department of Agriculture’s National Organic Program, the Accredited Certifiers Association and NSF International will act as collaborating partners in the project and will review and provide feedback on the recommendations put forth by the task force, as well as provide support on implementation and adoption efforts, as agreed with pilot participants. The recommended practices are intended to establish an industry standard for businesses to create continuously improving internal programmes and processes for achieving organic identity throughout their associated supply chains, the OTA said in a statement. The global organic market has grown over the past two decades and is now almost worth $90bn, with the US organic market alone accounting for close to $50bn. Organic imports into the US in 2017 totalled around $2.1bn, up nearly 25 per cent on the previous year. However, a number of investigations have revealed widespread fraud. The US National Organic Program (NOP), part of the US Department of Agriculture’s Agricultural Marketing Service, has come under fire following claims that foreign products falsely labelled as organic have been able to make it onto the US market, highlighting weaknesses in the US organic monitoring system, as well as gaps in the complex organic supply chain. According to the US Organic Farmers’ Agency for Relationship Marketing (OFARM), as much as 60-70 per cent of organic imports may be fraudulent, with an estimated cost to US farmers in 2015 of around $400m. Recently there have been numerous calls for action. Last October, US legislators introduced a new bill which seeks to pump extra funds into NOP to help upgrade compliance and enforcement actions, and improve traceability and data collection systems. The bill is currently under consideration by the House Committee on Agriculture.